White House 2012’s newest analysis of data, polls, trends, and circumstances, nationally and on the ground in individual states, continues to project Mitt Romney the winner of the presidential election. 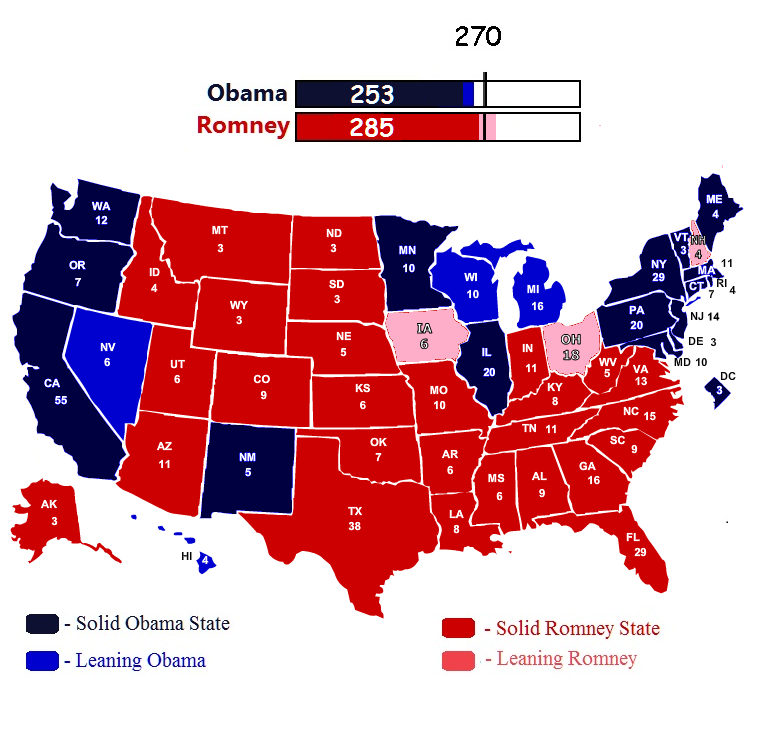 While the closeness of the race in several states continues to make it impossible to say with absolute certainty that Romney will win the Electoral College vote, White House 2012’s analysis does currently project that at the very least, Romney will receive 285 electoral votes. 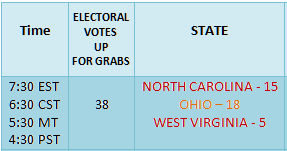 That is 15 more electors than he needs to defeat President Barack Obama who according to White House 2012’s prediction will walk away from Election Day with 253 electoral votes. The states that are too close for comfort and continue to be responsible for the uncertainty of the results in the Electoral College are, Iowa, Nevada, New Hampshire, Ohio, and Wisconsin. 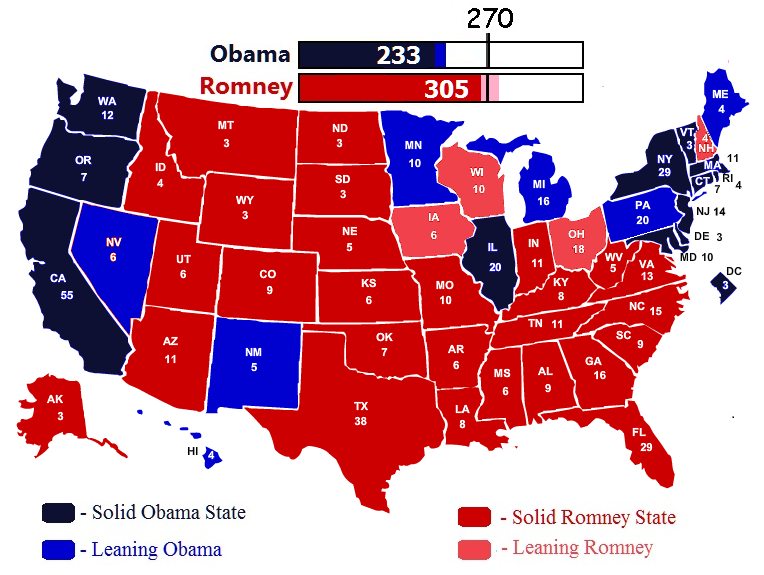 Of these states, White House 2012 is currently projecting New Hampshire, Ohio, and Iowa to go to Mitt Romney, with President Obama taking Nevada and Wisconsin. All other states are solidly behind one or the other candidate. 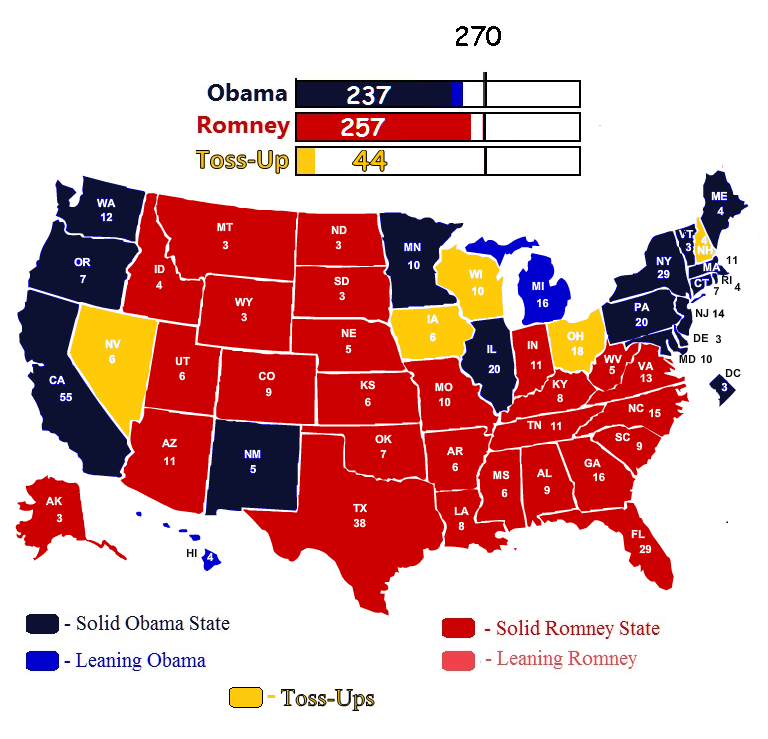 But the most dramatic conclusion gleamed from the information found in the analysis used to make this recent projection, is that if you consider Iowa, Nevada, New Hampshire, Ohio, and Wisconsin to be tossups, President Obama is left with 237 electoral votes and Romney holds 257 electoral votes. 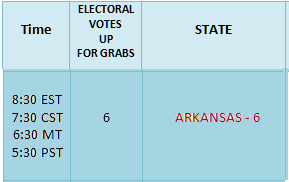 This means that from among the remaining 5 tossup states the President has only three possible paths to victory. Romney on the other hand has 5 possible paths to victory. Making matters worse for the President is that this latest WH12 analysis sees a sharp turning of the tables on him. Up till now, the narrative had been that Mitt Romney can’t win without Ohio. This newest analysis shows just the opposite. For President Obama, while he has three paths to victory… two less than Romney, each of one them requires that to win the election, the President must win Ohio. Ultimately this means that the odds are now clearly in favor of Mitt Romney winning the election, hence the current White House 2012 electoral projection. Based upon the winning combinations available to Obama and Romney, the President has a 44% chance of winning and Mitt Romney has a 53% chance of winning. 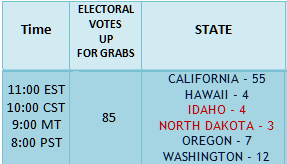 With less than two weeks to go before the election is held, this 9% upper hand held by Mitt Romney puts the Governor in a far better position than the President. That is especially true given the fact that the momentum continues to be behind the Romney-Ryan ticket, not the Obama-Biden ticket. 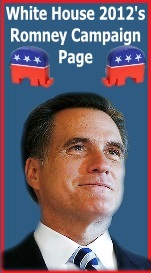 White House 2012 adds 2.2% to Mitt Romney’s final total in the Real Clear Politics average of polls. This is a figure intended to compensate for the use of 2008 turnout models that are being used in establishing current poll results. WH12’s formulas believes these models are under-counting Republican turnout by as much as 2.2%, hence the 2.2% added to Romney’s numbers that are ultimately figured in to White House 2012’s analysis. Currently in Ohio, the Real Clear Politics average has President Obama ahead of Mitt Romney by 2.1%. According to the WH12 formula, that means Romney is a head by a mere .01%, far too close for comfort for either candidate. But the good news for Romney here is that the WH12 analyses now finds that whereas Ohio was once considered a must win for Romney, it is now just the opposite. President Obama is the one who now can’t win reelection without Ohio. While Romney now can easily win the White House without Ohio, if he doesn’t take Ohio, Wisconsin becomes the state he really needs to ensure victory. 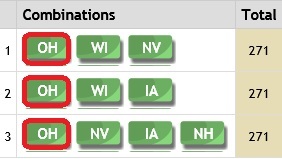 Of the 5 paths to victory available to Mitt Romney, 3 include winning Wisconsin. Only two of the available paths do not require Badger State victory. 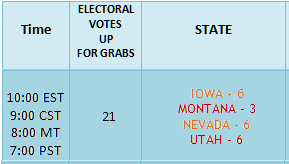 So while the best way to ensure Romney of winning the election is by taking Ohio, if he can pull that off, a win in Wisconsin and either Iowa, New Hampshire, or Colorado will be enough to put Romney over the top. If Ohio is not in the picture for Romney without Wisconsin, Romney must run the table on Iowa, New Hampshire and Nevada and win all three of them. That is possible but it points to the fact that strategically, Mitt Romney should really drop Paul Ryan in Wisconsin and have him campaign in every town, of every county in the state and use his favorite son status to deliver Wisconsin and provide the cushion the Romney-Ryan tickets needs in the Electoral College. 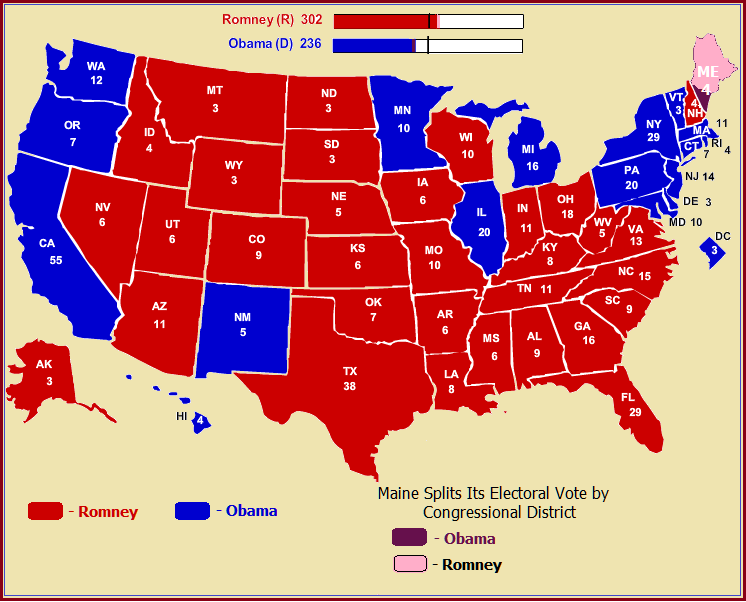 If this Electoral College result were to come to fruition, although there is truly no guarantee, Mitt Romney would most likely win the election in the House of Representatives where according to the constitution, in the case of a tie in the Electoral College, the election for President would ultimately go. The House is largely expected to remain controlled by a majority of Republicans . 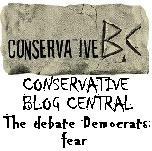 However, the election for Vice President is held in the Senate where Democrats are control. At the moment, there is a good chance that Republicans can win at least a one seat majority in the Senate. 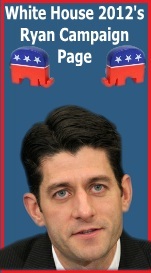 If that is so, a republican controlled Senate will elect Paul Ryan Vice President. If Republicans fail to take control of the Senate, it is not likely but quite possible that Democrats will elect Joe Biden Vice President. 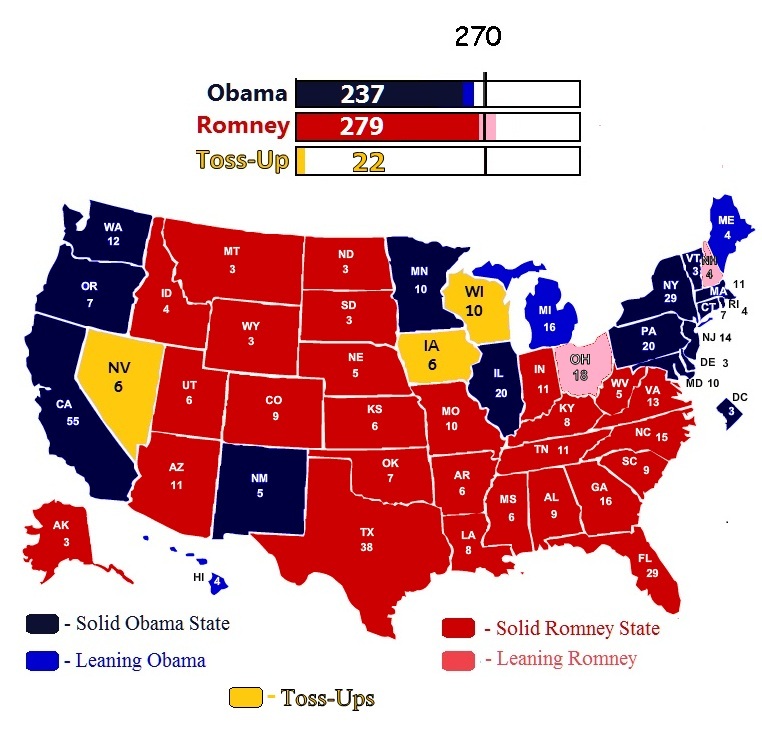 While WH12’s currently projects Romney to win 285 electoral votes, with the closenes of the race in the five tossups states spoken about in the analusis and the momentum that is behind Romney, White House 2012 is looking at the potential for Romney to pull off a landslide win in the Electoral College that will rival the size of Bill Clinton’s lopsided total in the 1992 election. In that matchup, Clinton won 370 electoral votes to Bush’s 168. 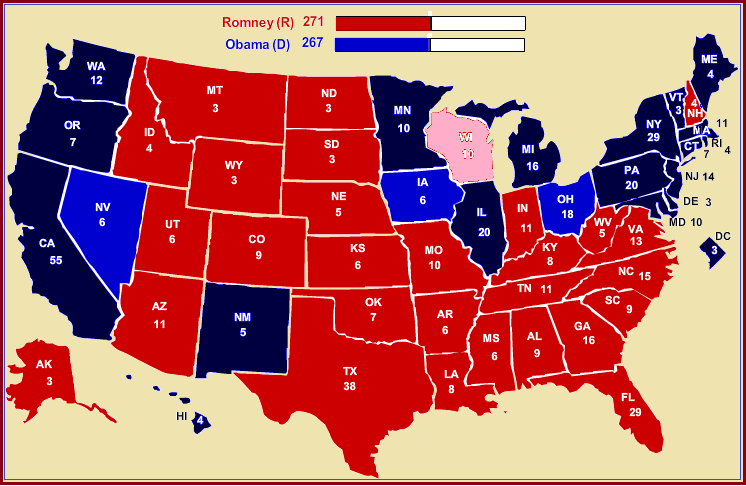 At the moment, WH12 to sees evidence that Romney may be on his way to a final 302 electoral votes to the President’s 236. 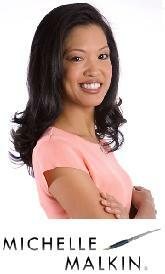 That includes a split in Maine’s electoral vote where some polls show Romney winning the 2nd Congressional District. In Maine, Elecotrs are awarded by congressional districts, not on a statewide basis. 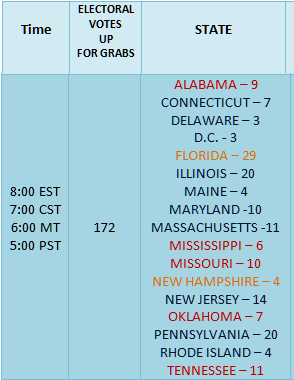 Furthermore; Wh12 sees the putside chance for Michigan to go to Romney. That would bring his total Electoral College count to 318. 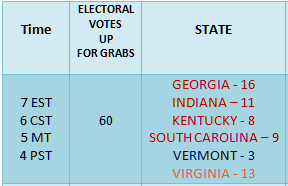 In what is now a verifiable trend, White House 2012’s newest Electoral College projection has increased the size of Mitt Romney’s lead in the Electoral College over President Obama for the third time in a row. 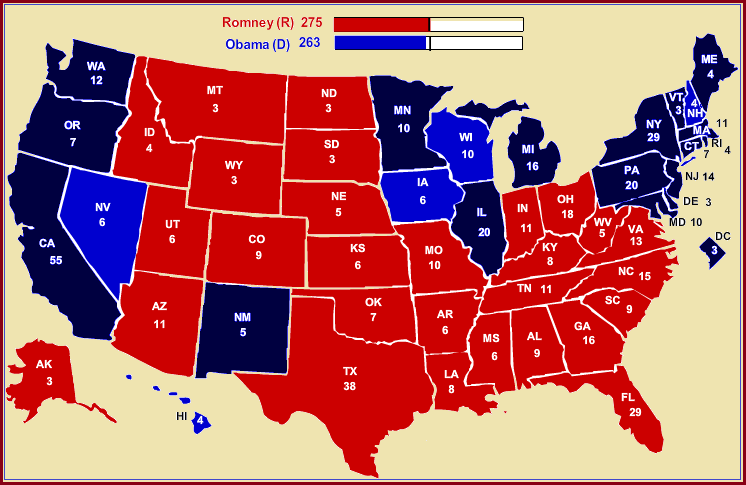 In the previous projection, after forecasting Ohio for Romney for the first time, New Hampshire and Nevada where switched from Romney to Obama. 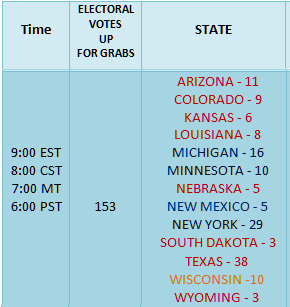 This latest forecast now places both of those states back in Mitt Romney’s column, increasing Romney’s lead in the Electoral College by a combined total of 10 electors. This now puts Romney’s Electoral College count at 291 to the President’s 247. According to the White House 2012 formula, Nevada and New Hampshire are still very competitive and not solidly in Romney’s camp. The same goes for Iowa and Ohio where WH12 considers the Romney-Ryan ticket to be currently holding a slim but still growing lead. But the most significant development in the latest forecast model is that the apparent bounce Romney received in the wake of his first debate, is now proving to be a definite trend. More importantly, it is a trend that is revealing itself to be so pronounced that it has forced White House 2012 to now add three more states to our battleground map… Pennsylvania, Michigan, and Wisconsin. That is a dramatic development. Especially in the case of Pennsylvania. Pennsylvania is to Barack Obama what Ohio is to Mitt Romney. Without Pennsylvania solidly in the Obama-Biden column, the Democrat ticket finds itself with significantly fewer paths to victory in the Electoral College. This is a switch from the narrative that had defined Romney’s need to win Ohio. No Republican has ever won the White House without it. 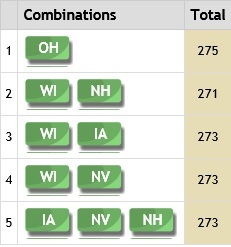 If Romney can’t win Ohio, he will find significantly fewer ways to accumulate the 270 electors needed to win. 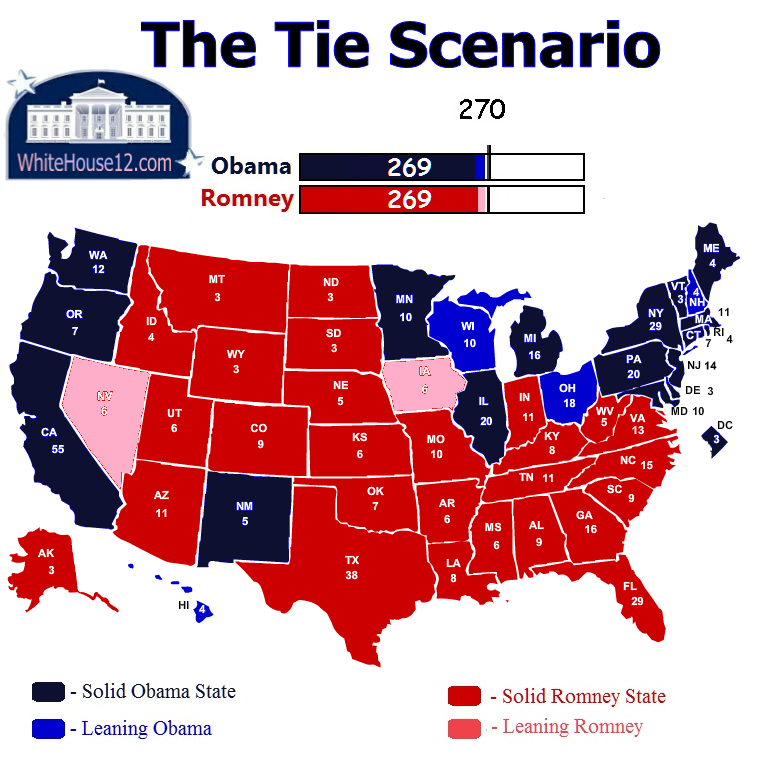 White House 2012 has however stipulated that we are sure Romney can win without Ohio and in fact originally projected him to do so. But recently polling and other factors have now turned the tables and are forcing the President to have to focus us on his m.
While White House 2012 still projects Pennsylvania to go for the President, if current trends continue, that can quickly change. In the meantime White House 2012 is forced to now make Pennsylvania a battleground state and in what is turning out to be continued trend that is putting the President’s campaign in a more defensive posture when it comes to the electoral map, White House 2012 has also moved Wisconsin and Michigan to battleground status. Of these three new battlegrounds, Pennsylvania and Wisconsin are most profound. Without them, President Obama must win Ohio and various combinations of other states that include such states as Florida, Virginia, Iowa, Nevada, New Hampshire, and/or Colorado. 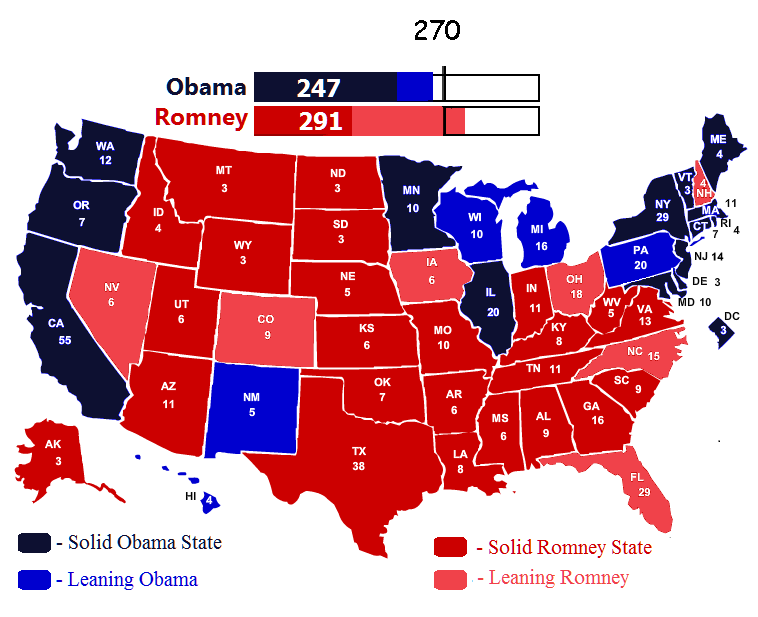 While many factors will continue to change future projections, the analysis behind this forecast is most notable for the conclusion that at the moment, the Romney-Ryan ticket is turning the tables in the Electoral College and forcing the Obama-Biden ticket to take a more defensive electoral strategy. It is forcing the Obama campaign to spend time and much needed resources and money in state’s that at this point in time, they had hoped were in the bag. Meanwhile, the need to reinforce his standing in places like Wisconsin, Pennsylvania, and even Michigan, is taking time and money away from President Obama’s ability to work on winning other important states like Ohio, Florida, Virginia, New Hampshire, Nevada, Iowa, and Colorado.